A different kinda post today, nothing makeup or beauty related, but I felt I had to step up due to the lack of posts about LescottStewart on the world wide web! LescottStewart, created by Aaron Lescott, Joleon Lescott﻿ and Jordan Stewart, had the potential to become a high-end fashion label in the mainstream market. Apparently. So I just had to see if I agreed.. 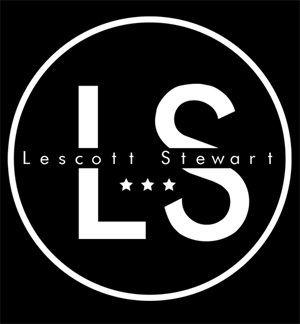 The idea behind the brand LescottStewart reeled me in. The fancy words, all the promises of a major brand. 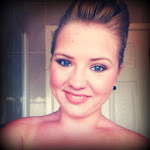 I had to try it out didn't I? Off I went onto the website, which for gormless people like myself, is actually surprisingly easy to navigate yourself around. Bonus! As an unemployed student fishing out coppers from down the settee, I begrudged splashing out THAT much money on some T-shirts from a company I knew little about. I'd only heard of the brand through the Twitter account, which is disappointing to me- I want to hear more people talk about this brand! But I took the plunge. *weeps at bank statement* Whoops. I ordered on the Monday and by the Thursday it was with me. Impressed to say the least considering the delivery was quite cheap! Now I know it's a men's brand, but I couldn't resist, heavily influenced by the fact Joleon Lescott is just my all time favourite. On to the t-shirts themselves.. Very soft, which is always a plus. 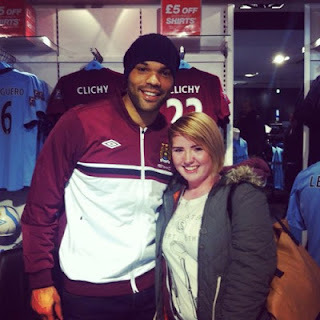 No-one wants an itchy top do they?! The quality is pretty decent as well, quite thick as far as t-shirts go. Being a domestic goddess lazy cow, my mum does all my washing, and she gives them the thumbs up too. Apparently they're nice to iron as well, which if it stops my mum nagging about creases I'm already in 100%! I got a size Large, I love a good baggy t-shirt, and the sizes are pretty generous, a plus for all the beer-loving pie-eating men out there that still go on the pull even with a beer belly. All in all I'm completely sold to this brand. The people behind it, the ethos, and the quality. I think it's fair to say my cheapskate days are a thing of the past- I've got my eye on what I want next! Naughty. 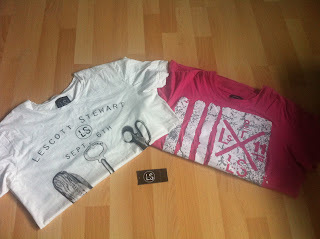 I have high hopes for LescottStewart and I'm eagerly waiting for the line to expand. I'd love to see a few jumpers, socks and maybe even some bob hats! There's a sale on at the minute here, so if you have a spare few quid I seriously recommend you spend it there! Treat yourself, your man, your dad, granddad? Just do it!